Steve Wynne, the architect behind Mike Hailwood's comeback win at the 1978 Isle of Man TT, is appealing for all Ducati owners to support a 60-year Hailwood celebration gathering at Castle Combe circuit on July 9. The Mike's Bikes Tribute marks the anniversary of the ten-times world champion's first racing season, and his first appearance at the Wiltshire venue, in 1957. Hailwood rode around fifty different types of motorcycle in a career that ended in 1979, and many of them will be represented at the event. Wynne's Sports Motorcycles company built the 864cc V-twin that Hailwood, then 38, raced to victory in the 1978 F1 race after an 11-year absence from the Mountain Circuit. The bike is being brought to Castle Combe from New York by its current owner, Larry Adriana, while Wynne is flying in from New Zealand, where he now runs a Ducati parts and tuning business. "All Ducati owners should turn up in recognition of Mike Hailwood's amazing achievement," Wynne said. He is appealing especially to owners of the bikes that Ducati manufactured to mark Hailwood's TT success. "Ducati produced around 7500 Mike Hailwood Replicas, plus 2,000 MH Evolutions, so it would be nice if 5,000 turned up and not five. We mustn't let Honda steal the show! Pauline Hailwood (Mike's widow) and I will give a prize to the best MHR bike." Honda UK are supporting the event, and are taking a George Beale replica of a 1967 297cc six for Guy Martin to ride. Other Hailwood-related bikes to appear include a 125cc Honda twin, 250cc and 500cc Honda fours, the 650cc Triumph T110 on which Dan Shorey and Mike won the 1958 Thruxton 500-miler, a 50cc Itom, MVs, a Manx Norton, a 750cc BSA Rocket III and a Suzuki RG500. Personalities include Stuart Graham, Freddie Spencer, Steve Parrish and Mike's son David. The Hailwood parade and celebrations form part of a North Gloucestershire club meeting on July 8-9, which includes rounds of the 125 and 250cc British championships, the Bonhams Lansdowne historic series for pre-1963 bikes, and parades for classics and specials. 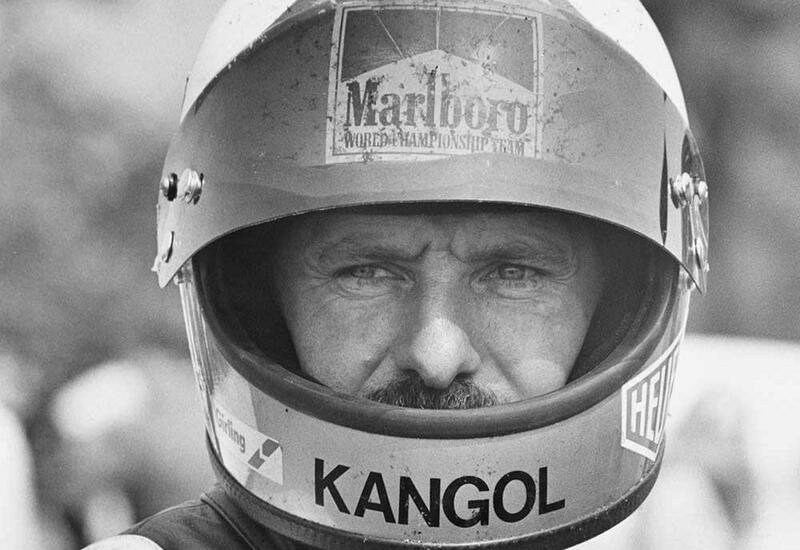 What made Mike Hailwood so good? Exclusive Hailwood tribute at the MCN London Show!